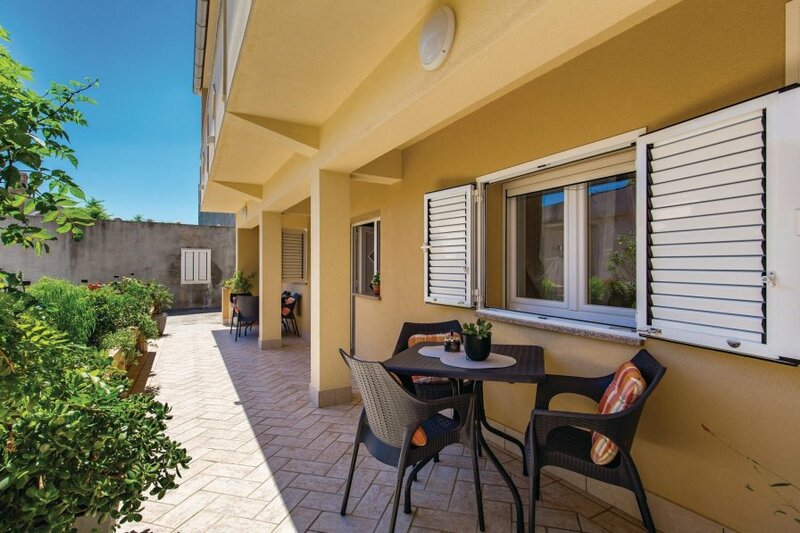 This functionally furnished holiday apartment is situated in the basement of an family house. 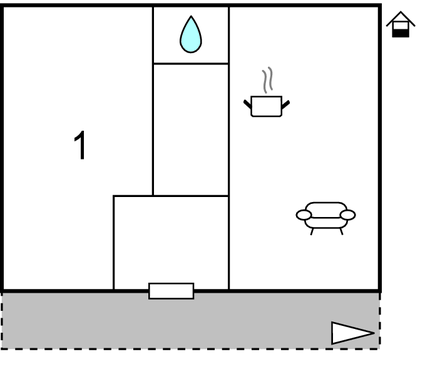 It constists of a kitchen with living-room, bathroom and bedroom. In the rear part there is a garden with a play area for children and the barbecue which you need to share with the other residents. The island of Pag has a lot of different beaches, a delicious gastro offer and numerous entertainments. The beach Zrce is a well-know party location with hot club-nights for the younger generation. This apartment is made from brick or stone and was originally built in 1979 and refurbished in 2009. The agent has rated it as a three star property so it is a well-kept apartment, equipped with standard furniture. It is also good value for money. The apartmentIt is located in Povljana, only 14km from Pag. It is set in a very convenient location, just 300 metres away from a stone and pebble beach and 500 metres from a sandy beach. There's also a restaurant only 100 metres away. The apartment has free cable internet. You can also park on-site at no extra charge. The apartment is adequately equipped: it has a refrigerator and microwave. It also has a shared barbecue and some shared garden furniture outside.